Facebook is a part of the online marketing arsenal for many a small business. It’s free, it’s where people hang out, it’s fun. But there are things you have to watch out for. Even innocent Facebook mistakes can have a huge impact on your business, if you get called out on them. This definitely deserves a mention as I still see many small businesses getting this part wrong. You cannot have a regular Facebook profile for your business. It is for individuals ONLY. You cannot run your business through groups. Groups are only about sharing hobbies and interests. You cannot promote a business in any regular way in a group. The great majority of small business owners need a proper Facebook business page. Yes, it’s annoying and quite a bit of work to make the switch. You will probably lose some people along the way. But it’s really not an option. Update Aug 2013: The rules around Facebook promotions and contests have changed! You can run them without a 3rd party app. See the details here. As I was planning the internet marketing contest I’m running right now, I was originally thinking about using Facebook as the platform. You can use your Facebook page and Facebook ads to promote a contest running on your website or blog that does not involve any sort of Facebook activity. I originally understood that it only involved asking people to “like” your page, but it involves ANY type of Facebook activity such as sharing. You ARE able to reward your Facebook likers with special promos and prizes. For example, lots of small businesses offer monthly prizes to their likers. You can do this – you just have to do it the Facebook way, and use one of their apps. WildFire – Basic services start at $5 per campaign + $0.99 per day (but most businesses would want more expensive plans for their additional features and customization). Easy Promos – If you have less than 5,000 likes, you can try out the basic option free the 1st time, $15 per campaign after than. There are pricier options for pages with more likes. North Social – Their most popular option runs $29.99/month and gives you access to all their Facebook apps. There are plenty of other options. If you’ve used any of the above, or have used a different option, let us know in the comments what your experience was. Here are the official Facebook contest rules (scroll down to the “Promotions” section). They can be difficult to understand at times, so when in doubt, don’t include Facebook in your online marketing promotions. This is a newer development that I have been hearing about lately. If you post the same or a similar post too often on other pages, Facebook can red flag you as a spammer, and prevent you from posting on or tagging other pages for 15 days. Wouldn’t we all like to reduce Facebook spam? The only issue with this is that it is trapping legitimate business owners who are using Facebook for their marketing in an ethical, non-spammy way. One example comes from Karen Gunton, over at build a little biz. She wrote a blog post about great email newsletter examples. So she tagged the 10 businesses featured on Facebook, to let them know about the post. This was considered spamish. Avoid this by not copying and pasting the same message over and over again to different pages. Don’t do a ton of messaging or sharing at one sitting. Spread out your Facebook activity so that you’re not doing a whole bunch of stuff at once. There is no series of warning communications from Facebook. They will simply delete your presence or punish you. You will not be given the chance to explain. I have definitely heard of this happening to other businesses, who have lost everything because they were not playing by the rules. 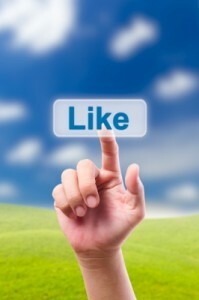 Have you run into any trouble marketing your small business on Facebook? Any questions about the rules? Any experience using 3rd party apps? Meet you in the comments! Good post. It is so hard top keep up with facebook rules these days. Yet in the same token facebook has had many glitches that makes using it frustrating. I have gone for months without being able to tagg in my post. Wow! Months with no tagging. That’s really unfortunate Navine! Hopefully things will get resolved for you soon. Previous post: Creative or practical – how should I title things?